I started fashion blogging around 3 years ago (2013). It was also during this time that Brett Johnson emerged as a new up and coming Menswear Designer. Like myself, he gravitated towards a more sophisticated and sartorial approach to his brand, which instantly set him apart. We connected via social media and have been supporting one another ever since! I’m proud to be wearing my friend, Brett Johnson’s , FW 2016 collection in todays post. 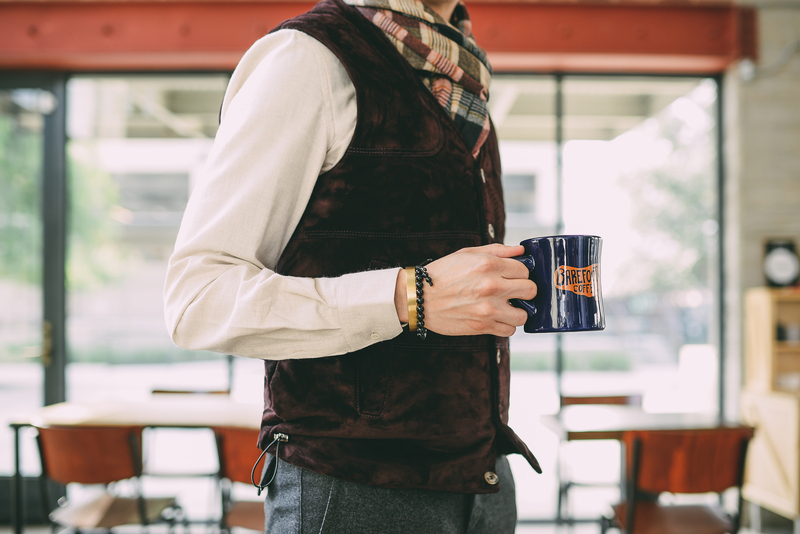 For today’s look, I styled a Hamilton Vest (cashmere suede), with a Band Collar shirt and finished it off with a nice cozy scarf. Being in LA, the winters aren’t too bad, so I was able to getaway with having the vest serve as a both an indoor and outdoor piece. The Fabric is uber soft and quite frankly makes me feel like a million bucks. You guys all know what I’m talking about, that one piece that simply stands out every time! For trousers, I opted for these slim charcoal cargos, a little out of the norm, but perfect for the season. I took this look to my local coffee shop, Cognoscenti Coffee and decided to snap a few photos. Take a look at Brett’s new collection and let me know what you think? *Side Note: Gents, make sure if you do decide to wear cargos, that they are tailored and slimmed to your liking. If the fit is wrong you can easily give a commando look, which is no bueno in my opinion. Go Bold with your suits!